1. Get a Kindle Lighted Leather Cover (if you hadn’t already). You'll eventually need something to protect your precious, new toy with, anyway -- so you might as well get one of these covers from Amazon. It seems ridiculously expensive at first glance; I mean, who in his or her right mind would pay 2,600 pesos for a gadget cover? But believe me, as cheap as I am in most other things, I sincerely believe that this thing's worth the sticker price. Why do I love it so much? Well, apart from providing top-notch protection to my Kindle, it also makes reading more convenient, even with the additional bulk and weight. Actually, that's one of the things I don't like about this latest-gen Kindle -- it's so thin and light that I sometimes have a hard time holding it on its own. The cover makes this less of a problem as the combo provides more space for your hands. If that's all there is to it, then the cheaper, basic cover would probably do. But the more expensive version comes with a built-in light that does not need any batteries (like magic, it draws power from the Kindle itself! ), making it very convenient to read in the dark. The best things in life are free, indeed. You don't have to pay $10-up per book to enjoy your new Kindle; high quality, free e-books abound online. Project Gutenberg has a diverse collection of classics like Sherlock Holmes, Pride and Prejudice, and The Art of War, among others. Don't make the mistake of buying these novels from Amazon, even if you think they're a "steal" at $2.99; these out-of-copyright works are legally distributed by Gutenberg free of charge (and rightfully so), even in Amazon's own Kindle format, so really $2.99 is infinitely more than what you should pay for. If you have no scruples about intellectual property, there are handy online tools and websites that can help you get what you want. 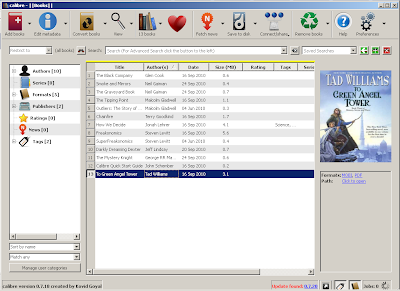 You can easily find contemporary e-books with FilesTube.com, a search engine that indexes file hosting sites like 4shared, Rapidshare, Mediafire, and others. Also, some online forums like Symbianize host e-books shared by members; all you need to do is sign up. Some of these sites will even require some proof that you're Filipino, but if you know the answer to something like "Ang ap oy ay nakakapa so. Ta ma ba o ma li? ", you won't have any problem registering. Scribd is another good source of hard-to-find e-books. Unfortunately, some documents require some kind of paid access. If you find something you really like (or need) in Scribd, I suggest you just get a $5 one-day pass and download as many e-books as you can. Of course there's always the bittorrent alternative, but in my experience, that's more troublesome than the options I mentioned above. If you know other, convenient sources of free e-books, maybe you'd like to share them with us. 3. 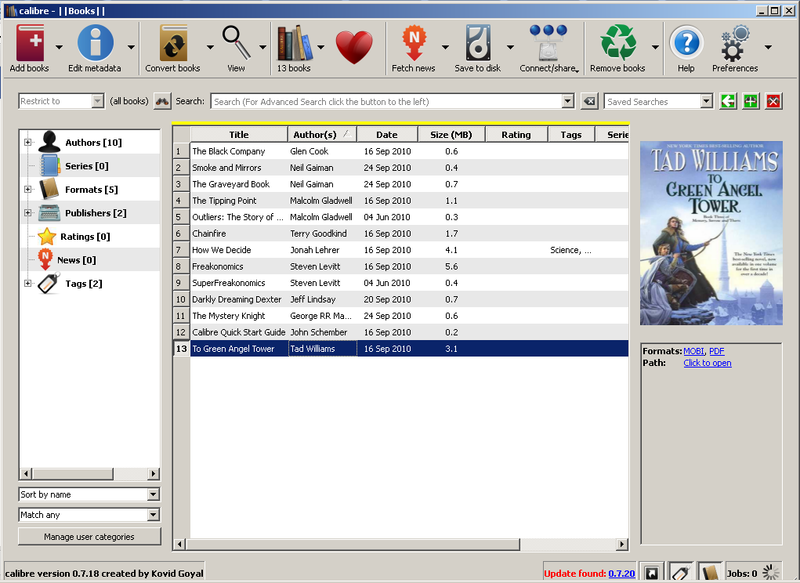 Manage your non-Kindle e-books with Calibre. Apart from Kindle Books bought directly from Amazon, Kindle also natively supports TXT, PDF, and non-DRM MOBI files. But sometimes, free books are available only in unsupported EPUB or LIT formats, so you'll need a way to convert these into a compatible format. And while Amazon does offer free, remote file conversion (if you have WiFi access), it's not really very user-friendly. Fortunately, with great thanks to the open source community, Calibre is there to solve our e-book management issues, for free. With Calibre, you can easily convert unsupported documents into Kindle-friendly formats like MOBI and TXT. You can even convert a PDF with too many words per page into a free-flowing format to make reading on Kindle friendlier. If there's one thing I don't hesitate spending on, it's books (how does subject-verb agreement work on this kind of sentence?). Before getting the Kindle, while I did try to minimize what I spent on books by getting cheaper second-hand copies of not-so-important titles, instead, I did not hesitate to spend 1,000 pesos or more on a "must have" hardcover release. Now that each new book will just cost me around $10 or 450 pesos, there's no reason for me to think twice about buying these essential titles from Amazon. Can you imagine how someone who reads several of these 1,000-page tomes in a foreign land without a permanent place of residence will manage his books without the Kindle? Some of you will probably say, "Yes, there's an iPad for that." Then I would reply... nah, it would be better if you just read this article on your own.